Tax reform of 2018 did not alter capital gain calculations so selling an asset less than its cost⁴ has, and always will, result in an economic loss. Identifying the gain/loss position of each of your assets is critical to taking advantage of this strategy. Remember that your cost basis includes any reinvested dividends – dividends you received, taxed to you, but reinvested in the paying stock. Hopefully, your custodian is keeping track of the basis for you. Capital losses are deductible up to any recognized capital gains, plus an additional $3,000 each year (no change for 2018). ⁴ Original cost. Depreciable assets may have lower adjusted cost. To deter investors from selling a stock to trigger losses and then repurchase the similar stock within 30 days, or purchase more of a stock within 30 days of selling a portion of that stock, the IRS will not allow a loss on the sale. The loss will however increase the basis of any stock repurchased. Joe owns of $50,000 of XYZ stock, which he purchased two years ago for $60,000. Joe wants to sell the stock and use the loss to offset other capital gains he has for the year. However, Joe likes XYZ stock and believes it will rebound soon from a tough year. Joe decides he will then repurchase XYZ stock once he sells his existing shares. The wash sale rule states if he repurchases XYZ stock within the 30-day window, he will not be able to take the $10,000 capital loss. He should wait at least 31 days after the sale to repurchase the stock. If Joe is unable to take the loss, he will instead add the $10,000 unallowed loss to the cost of repurchasing the XYZ shares ($50,000), totaling $60,000 – right where he started. Maybe it’s just me, but a 0% capital gains tax rate makes a lot of sense to me. I believe many taxpayers are not completely aware of this particular opportunity. If taxable income (other than gains and dividends) does not exceed $38,600 for singles, or 77,200 for joint filers, then dividends and profits on the sales of assets owned for more than a year are taxed at 0% until they push you over the threshold amounts. The threshold to qualify is not based on adjusted gross income, it’s based on taxable income. The difference is that instead of using your total income¹, you will reduce it by your itemized deductions or your increased standard deduction (no more personal exemptions allowed). *** Zero-percent-rate gains may not be taxed, but they remain part of your adjusted gross income, which means certain items of income and expenses may be impacted. For instance, the taxable portion of social security benefits and the cost of Medicare B premiums are based on taxable income. Therefore, planning to sell assets requires analysis between the tax benefits of no capital gains against possibly higher Social Security benefits being taxed and increasing Medicare premiums. Tax reform of 2018 did not change the 3.8% surtax rule. 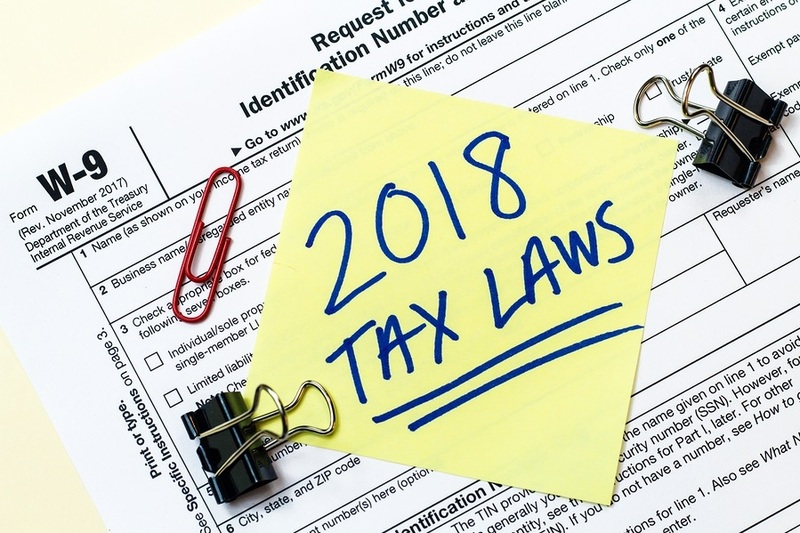 Singles with modified AGIs over $200,000, or 250,000 for couples, could owe tax on certain income items such as taxable interest, dividends, gains, passive rents, annuities, and royalties. The tax is due on the lower of net income from investments or the excess of modified AGI over the income thresholds. Married couple has $240,000 taxable income, including $50,000 of capital gains, dividends, and passive rental income³. Because their taxable income was less than $250,000, they will not pay any additional tax on their investment income. Married couple has $400,000 taxable income, including $50,000 of capital gains, dividends, and passive rental income. Because their taxable income was more than $250,000, they will pay the additional 3.8% tax on the entire $50,000 investment income. Married couple has $275,000 taxable income, including $50,000 of capital gains, dividends, and passive rental income. Because their taxable income was more than $250,000, a portion of their investment income will be taxed, and a portion will be non-taxable. Excess amount 25,000 (of $50,000 taxed at additional 3.8%, and $25,000 is non-taxable). ³ Not including rental income for real estate professional (must spend at least one-half their working hours and more than 750 hours a year materially participating in real estate activities). Often an overlooked tax-saving strategy for investors who have both qualified tax-deferred accounts (401K, IRA, etc.) and taxable accounts (individual, joint, trust) is to deliberately allocate specific investments into the separate accounts for the purpose of minimizing taxes. For instance, bonds typically pay interest income twice a year – the interest is generally taxable income. Stocks may pay dividends, but the primary growth is done through appreciation. Therefore, placing the interest-bearing bonds and other high-income generating investments (i.e., REIT’s) into the qualified accounts (IRA’s) can defer the income taxes to the future when withdrawals are made. Placing the appreciated assets (equities) in the taxable accounts will allow for capital gain treatment when the assets are eventually sold, or they may qualify to have their investments receive a step-up in their basis at the passing away of the asset owner (minimize taxes to beneficiary if assets are sold once inherited). Whether you are in the accumulation, distribution, or preservation phases of your financial-life-cycle, tax consequences play a major role in investment decisions. I believe compounded growth is the ultimate objective for any long-term investment strategy and paying unnecessary taxes and high fees for your investments are aspects of investing that you can control with the help of a qualified financial advisor. Please visit Carr Wealth Management’s website to learn more about the firm’s services and feel free to contact us for a no-charge consultation.